Maybe your Monday starts with a bikeride to work or school. 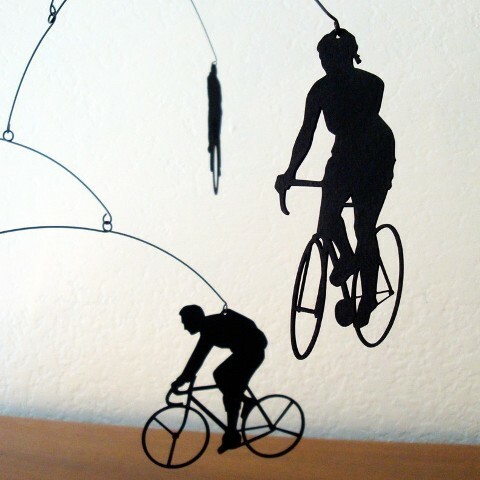 My mornings have started with heavy pedaling since I saw this beautiful silhouette mobile by Salty and Sweet and had to get it. It is above our kitchen table and reminds me to choose bike over car whenever I can.